Like all jump activities, start at the lowest height and slowly work up to the greater heights. 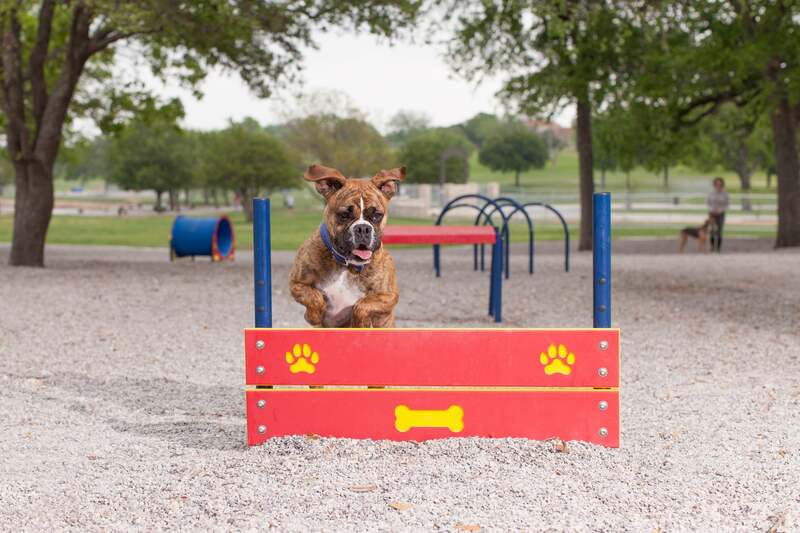 Be sure to guide your dog over the jump and between the uprights. This will help teach him to go over it instead of around (which is missing out on the fun)! Entry level jump and ideal for dogs new to agility. Wall Jumps consist of one, two, or three 100% recycled plastic planks mounted to aluminum guide posts. Paw print and dog bone details are precision engraved on each plank for added depth perception. Guide posts are made with 80% recycled, heavy duty aluminum pipe.